Another cafe opens in Goodwood. Actually it’s nearby in Forestville, on Leader Street next to the train line. 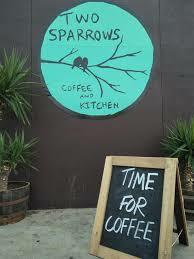 The cafe called Two Sparrows has grand plans, is open 7 days, and I hope it does well. I like the idea of running classes on bread and cheese making; acting as a community hub. a great little cafe in Forestville. no long walk to Goodwood for a coffee.